“Incredible Villa! !” — Reviewed 13 Apr 2019"
We stayed at Baan Chang with a group of 20 friends for a post-wedding trip (wedding was in Bangkok). We loved every minute of our time at Baan Chang! The house is beautiful and the staff were absolutely wonderful! Breakfast is provided every morning, and we added group dinners every night. The pools are gorgeous and provided great relaxation after our adventures during the day. We rented scooters for easy access to beaches - Kamala, Surin and Bang Tao. We would highly recommend this Villa for large groups, it was a truly wonderful experience! I booked Bann Chang Villa for a group of 14 for my 50th Birthday in August. I wanted a place where family and friends could reconnect and spend quality time together. Bann Chang is perfect for this. The location and outlook is amazing, the team running the villa are wonderful and cater to your every need and the food is excellent. I also had my 50th Birthday dinner at the villa - it was magical - Stefan (the owner) and his team went above and beyond to make this night very special. Bann Chang exceeded all my expectations. Where to start...this place was absolutely incredible! Stumbled across it online and knew it would be the perfect place to have our wedding- ourselves and our 40 guests had just a delightful time. All of the staff are friendly and helpful, there's plenty of space inside and out for all of the guests, and the décor is gorgeous. It is a quick ride down to the beach/town, yet nice and peaceful at the villa. Highly, highly recommend! Just got back from a weeks stay over Xmas at this great villa. Not much left to say that hasn’t already been said by other reviews. The décor has been well thought out, everything immaculate, the pools were perfect and there were lots of private areas where you could get away from everyone. Loads of space and the rooms were fantastic. The staff were polite and very helpful and the food was wonderful. The only complaint I would have is not being able to see enough of the Island because it seemed such a shame to leave! What can I say - this place is magical. I saw this place years ago when I was just randomly googling looking for a place to get married & I just knew straight away this was it. I eventually booked it about 18 months before we were due to marry as I wanted dates on December which is peak season in Phuket. There were 14 of us altogether staying in the villa for 5 nights and during this time we planned an intimate wedding for 22. I originally booked the villa for 20 guests as I wasn't sure how many of my family could come. It ended up being 14 of us but this was no problem at all, the owner, Stephen allowed me to use the extra money against my wedding (which he didn't have to do as i booked through trip advisor). He even came to my wedding and greeted myself and my family. Stephen promptly put me in touch with the villas wedding planner, Maria, shortly after booking. I have to say I was very apprehensive as at the time Maria was new to the villa so I bombarded her with questions right up to the day of my wedding through emails. She was FANTASTIC!!!!! All my wedding party commented on how amazing she was and she ensured I had everything I asked for and took so much stress on the day away. The villa itself is stunning. The staff incredible. I just can't fault anything about this place - if you are hesitating to book, don't - you won't regret choosing this destination whether it be for a wedding or a family holiday, it's perfect! 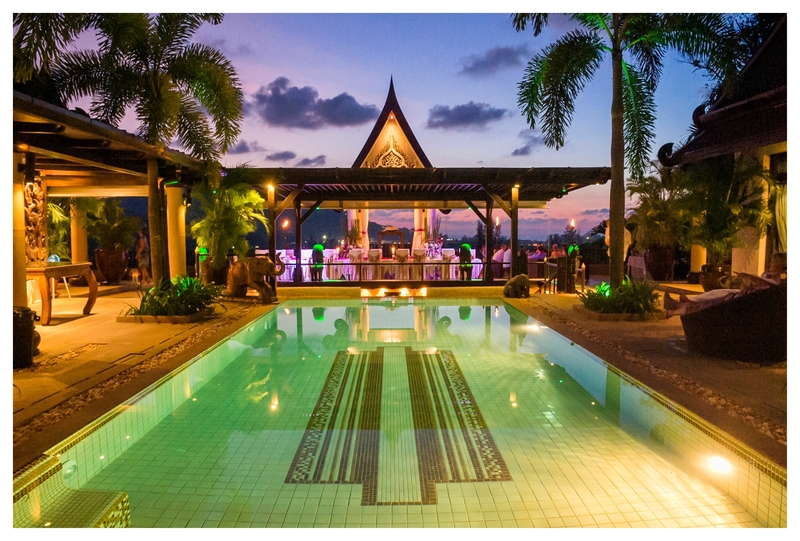 We booked Bann Chang Thai villa for our team of 18 people to spend 5 days in Phuket as company retreat. The villa is a great place for big group like this, everybody has space enough, it offers a lot of areas for group activities and chill spots for all to be together. The service was more then perfect, all the staff is very nice, friendly and always there to help you with anything. Food was delicious. Villa as such is beautiful and clean and its pools are just great, we would spend hours in it. When planning our stay, the event manager Maria helped us with any inquiries and requests we had and organized a lot of things for us. From all our team, many thanks to the whole Bann Chang Thai Villa team. Hopefully we will get a chance to come back one day. Bann Chang is simply one of the most relaxing and well-served properties we have ever rented and we've travelled aplenty. This place is AMAZING!! The staff is incredible, the owner is super chill, nice and accommodating... We had our wedding there and it was more than we could have ever imagined. Not only did we have a full staff, for our entire stay, but the planning of our wedding was also handled very efficiently and professionally and passionately. Everything was handled with great care and consideration. Top shelf. One of my favorite properties ever. Thanks Bann Chang!! Amazing villa in the hills of Kamala with a lot of amazing works of art and very nice and attentive staff. We have been at this amazing place for two weeks in December 2016/January 2017 and all of our 21 guests (6 childs from 1 - 13 years) were absolutely overwhelmed about the circuitousness, the caring arrangement of works of arts like paintings, special furnishing and statues and also about the gorgeous luscious presentation of little water courses, rockeries and exotics plant – all discreetly illuminated by a thousand of hidden spots. In fine: We found there a little paradise. To be more concrete: The rooms were (more or less) generous, caring furnished with works of art and very clean. Some of them had a very impressing and spacious bathroom The two pools are very clean and one of them has a really impressing view over the landscape There were several common rooms (for example a TV/media-room or a dining-room) we could use together - all of them very beautiful furnished and decorated The food was absolutely tasty, freshly cooked and appetizingly served The staff was incredibly nice, courteous and unobtrusive. They were really interested in us (not just as guests but also as people) and knew the name of every child after a few days. In generally they treated our children very lovingly and attentive The organization of transports was easy to plan and nearly every time punctual There were a few nice beach nearby (transportation-time about 5-15minutes) The owner Stefan, born and grew up in Sweden, showed up serveral times and was always reachable for questions and advices. he is definitely the most relaxed guy and also a great organizer. The villa looks amazing by day, but at night it’s even more beautiful with a lot of hidden spots and the fantastic pool-illumination Patong is about 15 minutes and Phuket about 30 minutes away (by car with less traffic), shopping facilities and some bars and restaurants and also the famous cultural theme park Phuket FantaSea can be reached in about 20 minutes by feet The villa with its large, perspicacious terrace is alos an hotspot for a special wedding. We celebrated our wedding with 45 guests and had such a blast. Stefan mediated a great weddingplanner to us, so the whole day was perfectly organized and we always felt in good hands. As you can see, there is ABSOLUTELY NOTHING to criticize! We hope we have the possibility to come back soon! 20 out of 10 for everything, from the organisation before our arrival, to the welcome we received, to the quality of the wedding preparation, to the food and service. We were all delighted by the quality and discretion of the staff (under Gorin's guidance). We had a magic moment in this magic villa! We thoroughly recommend it to anyone wishing to get away !! David and Juliette. We were an large party of extended family coming together from different parts of the globe. From the commencement of communication with the owner Stefan, he could not have been more obliging, patient and helpful with the complicated organisation such a group required. We stayed for 10 days, just recently returned, in this magical villa. Baan Chang Thai lived up to all the website promised and much more. From the first smiling greeting from Rat when he picked us up at the airport, wonderful smiles from Mihn and Noi at the villa, we felt welcomed. All the wonderful staff in this villa deserve mention for their utter friendliness and desire to make your stay as easy and comfortable as possible. Special mention must be made for Gorn, Noi and Ta. The villa manager Gorn was priceless in her endeavours to provide information, arrange tours and practically organise our lives to what we required. Lovely to leave it in someone else's capable hands for once. From carrying our breakfast up to the upper terrace on her tray to speaking to local tour businesses, nothing was too much to ask of the wonderful Gorn. Our breakfasts and the meals we ate in at the villa were sumptuous and delicious. Friendly Chef Noi is amazingly talented and it almost felt wrong to be going out of the villa to eat. Ta's friendly smiling face was a delight, and she was always happy to help. The rooms of the villa are spacious, luxurious and beautifully decorated. In every way the villa has a personal feel that makes it feel like home rather than an impersonal resort. The hard decision was which pool to use in the day, or perhaps just jump in both! The kids had the most wonderful time in the pools, and made full use of the pool table and ping pong. Our group consisted of 12 adults and 7 children and the Villa contained us all with ease. The outlook from the villa extends to the sea and we were often drawn to the view, showcased at different times of the day with differing qualities of light. We had a wonderful family holiday in this villa and would return again to this welcoming home in an instant. Thank you Baan Chang Thai and it's staff for giving us such a memorable time. Baan Chang Villa with its airy open plan, clean, bright and tastefully done rooms, well maintained aquamarine pools and the sweetest, most capable staff is the perfect holiday home. My family and I, all 10 of us had a most memorable holiday at Baan Chang. The house and its amenities are top notch and cater to all your necessities and most luxuries. My family is still singing the praises of the wonderful Chef Noi and the magical culinary storm that she whipped up for us every day of our stay and the ever smiling Ta who was always on hand to cater to our every wish and whim. The villa is about 10 minutes by car from Kamala town and beach. The villa and its staff can arrange cabs for you at your convenience, but the villa comes with two scooters which we thoroughly enjoyed riding down the streets of Kamala and along the beach. The staff can also arrange for spa treatments at the villa. The Villa provides Wi-Fi, TV, Hairdryers, Two swimming pools, Jacuzzis, washing machine and dryer, two kitchens, an excellent sound system, and most importantly , peace and quiet. The house also had an impressive collection of Beers, Wines and Books. I had the most relaxing time in years at Baan Chang. All I can say is WOW! We spent 7 days at this immaculate villa with our bridal party... Firstly each and every room and space is littered with amazing pieces of art, statues and luxury furniture... The pictures do not do this place justice... In the evening you are blessed with an amazing sunset that has to be seen to be believed... The staff were absolutely amazing... They put up with our rowdy, messy bunch with the patience and grace that only Thai people are capable of achieving... Gorn was always around to tend to anything we needed or wanted... The food at the villa was delicious... Literally the best thai food we had in Phuket... We would smell the food through the villa as they were cooking and would be salivating In Anticipation... We met Stefan before our booking as we needed to organise a welcome party that was taking place at the villa... He was a pleasure to deal with and totally understood what we wanted for the party and was very accommodating... the villa looked amazing for the party and was way above what we were expecting... Stefan your staff are amazing and your villa is amazing I have know problems recommending this place... If you're second guessing... Don't... Book NOW!! This place is amazing. The pictures are for real but they really don't do it justice. All the bedrooms are very nice, a few are really special. There are many places to relax whether it be the pools, the great room, the cabana, the outdoor living rooms around the pools, its just gorgeous. The decor is beautiful and the appointments are luxury in every way. The best review I can offer is that the villa is extremely clean. I am a clean freak and I was very comfortable here. The level of daily cleaning here is equal to or better than any hotel I've ever stayed in including the One and Only, Four Seasons, and the original Peninsula. Don't get me wrong, those are all stellar, this is certainly on par. Aside from the home itself the staff and service level are second to none. Breakfast is served every morning at the time you'd like with a buffet and made to order items of a wide variety. All of the refrigerators (in kitchens and all bedrooms and coolers next to the pools for easy access) are stocked with whatever beverage you could want and if its not there they are glad to get it for you. The restocking seems to be done by magic as we did a good job of trying to empty the coolers and fridges but they somehow always were filled though we never saw it happen. Lunch and dinner can be ordered with short notice and the food at this villa was the best I had on the trip. There is a charge for everything except breakfast but the price is about the same you would pay at the market, not like resort prices at all. The staff is awesome. Gorn and her crew attend to everything you need. They are glad to arrange excursions, get special items from the market, wake you up when its time to go to the beach, whatever you ask. Of course they are excellent cooks but they are also great baristas glad to make you an espresso, cappuccino, or iced coffee whenever you want. Have a headache after a long night? Have them fix you up a fresh iced coconut and sip it in the shade while they make you some breakfast. The drivers are great too. They are always ready to take you wherever you want to go in the mini-bus that the house keeps on site. They gave us great recommendations on restaurants, beaches, and even pulled over and told us when and where to get out and take a great picture. We were a group of 11 guys staying for a week for a birthday party but the house would work equally great for three or four families with children. Enjoy! From the moment we booked this property we were been treated with kindness, accommodation, and an overwhelming amount of respect. The experience – Imagine staying at the Ritz Beach Resort. Now imagine if you and your friends and family had the entire Ritz Beach Resort and the staff to yourself. That is what our stay felt like at Bann Chang Thai Villa. We were there for New Years 2016 and could not have had a better vacation. We have already started to plan our December 2016 trip to Phuket and we WOULDN’T stay anywhere else. The Property – As amazing as the pictures are, they do not do this property justice. Every room, nook, and cranny was immaculate. The property is decorated throughout to accentuate the culture of Thailand and clearly pays homage to its people. There were days that we spent hours just walking the halls and rooms admiring the décor. Walking around this property was an experience in itself. Both pools were kept crystal clear. The first night we arrived, we couldn’t tell from the top floor if there was water in the bottom pool! Most of our time during the stay was spent lounging in and around the “endless” pool on the bottom level. You truly could get “lost” in the tranquility of this mountainside resort. The beds in the rooms were all very comfortable. The linen and the towels were all high end resort quality and you could feel it. The rooms gave us a very separated but together feeling during our stay. It was easy to get away for a private moment while still being a part of the group. There are so many common areas that I am sure we didn’t use half of them. It really made it difficult to want to leave the property at all! This place is paradise. When we did leave, we were a scooter ride away from just about anything you could imagine. When we wanted to travel as a group, the driver was usually less than 10 minutes away. The Staff – As beautiful as the property was, it was nothing compared to Stefan and his staff. My entire party had nightmare experiences flying from various places into Phuket. Ratt (best driver ever) greeted us, each small group arriving, at the airport with a warming smile, a bottle of water, and a “glad you made it” attitude. Arriving at the property, we were greeted by Gorn at the gate and this set the pace for the entire visit. If you needed anything, Gorn and Diyari were just a few steps away. They were truly amazing. They were everywhere and nowhere at the same time. The chef was also amazing. We actually had an opportunity to have her teach us how to make authentic Thai dishes. Breakfast was consistently outstanding. Everyone could be on their own timeline and it seemed to always work. Anytime the group wanted to travel, the driver Ratt was readily available and was always knowledgeable and helpful. These are the most incredible people with the biggest hearts that I have ever met. We stayed here for my 30th birthday in 2012 and had such a great experience that our group decided to book again this November just passed. Once again Stefan, Tom, Nokky and Gorn outdid themselves in providing a truly hospitable experience for our group of friends. From the outset the communication was clear and with a quick response time to any inquiry. Nokky and Gorn oversee the day to day operations and are very professional, nothing is too much trouble. Whenever we needed help or had to make a booking they were always there immediately. The Villa is just beautiful, very private and we couldn't have asked for more in a 'home away from home'. All the bedrooms are lovely and have highly finished designer bathrooms. The villa is very spacious and was easily able to accommodate 14 of us (mixture of singles and couples). The area surrounding the Villa is very peaceful and a quick ride to Kamala beach or into Patong. The food prepared by the on site chef is excellent and on par with any restaurants in the area. We held a big party at the villa and it was just so much fun and such an excellent setting to have it. Overall we couldn't rate our Bann Chang experience more highly, thanks to the team for being so personable, professional and providing a truly hospitable experience. Some great memories made and wishing our stay could have been longer. We very much recommend Bann Chang Thai and our group is already working out a return trip for 2017! We were a group of 15 adults, that came from different places around the world for a small celebration. The villa was very spacious and none of us felt crowded, yet there was perfect space for all of us to sit around at night to do some catching up. The staff at the villa was very accommodating from our meals to our in house massage and rides to places we wanted to sea. Our whole group agreed that the best part Phuket was our stay at the Villa. I dont usually leave reviews , but this place was to spectacular for me to not. Thanks again for everything. Our group was definitely probably not the easiest but the staff was very professional and made us all feel very comfortable. Until next time! We were a group of 17 from 2 years old to 70 years old and everybody had a wonderful time at the villa. We did a few trips to Patong and Phuket town and we realised that the villa is actually the best part of our holiday. We made so many special request regarding our breakfast and meal times and they were so accommodating. The team there became part of our family at the end of the holiday. Thank you so much, Greg and your team for looking after us. Having searched the internet for somewhere special to celebrate my 40th Birthday, I was lucky enough to find Bann Chang Thai Villa. I needed somewhere large enough for 15 adults but homely enough to feel like we were not at a bog standard 5* resort. This was it, infact it was more than we could have ever dreamed of. From the moment of booking through to actually arriving at the villa, it was such an easy process and totally stress free. Stefan and Greg had guided me through every step of the way so that all we really needed to do was pack our cases and get to the airport. On arrival we were greeted by a wonderful team of staff who throughout our stay were there in the background to ensure anything we needed was looked after. The villa itself looks even better in reality and there was nothing I could say needed changing; it was simply perfect. On my actual birthday the villa was decorated and a beautiful table set up for my celebration dinner. The food was fantastic and probably the best we had eaten throughout our whole trip to Asia. We ended up only leaving the villa on a few occasions as it was so perfect no one wanted to leave. Having been lucky enough to travel the world and stayed at some of the worlds top resorts, this to date was way better than any luxury 5* resort I have ever stayed in. We will be back. It is rare to find somewhere where everything was so perfect, so I have no hesitation in recommending this Villa for your next vacation. We were four exteded families who shared the villa for two weeks. Villa had plenty of rooms and privasy also for those who needed it. Food was excellent, so was service. We can highly recommend this property for big groups/families. The faultless service at Bann Chang Thai Villa is perfectly matched to the truly beautiful villa and its features. Myself and 9 friends stayed here for my 40th birthday, and it's given us memories that we'll never forget. The villa itself is brilliantly equipped and thoroughly maintained, and the service from the staff was beyond our expectations. And don't get me started on the quality of the meals! We really enjoyed our staying in Bann Chang Thai villa – or as we called it “our Big Brother-house”. Everything went great – even better we dared to wish. 4 families with children is not the easiest combination, but everyone think this was one of the best vacation ever! Food was excellent - we were mostly eating by the villa, because we propably had the best restaurant in whole Kamala Beach. We had big parties ( more than 50 people) and the service was still working great. We had our private yoga classes - highly recommended! Private thai boxing lessons- highly recommended! All the staff was helpfull and Rudi, the driver is a gem. My son and Daughter in law rented this villa for there wedding. There were 20 of us and this villa could accommodate more. We were there for 5 days and wished we had stayed longer. The whole villa is utterly exceptional. There are 2 swimming pools a fantastic gym, ample space to loose yourself if need be. The staff were absolutely fantastic, nothing was too much trouble. The property has everything you could want, from fantastic music system to a great selection of DVD's. The views are stunning, If you are looking to have a holiday with friends then this is the place to stay, do not waste your time looking elsewhere. First off I have to say we booked Bann Chang Thai off the strength of their Trip Advisor reviews. I (we) am pleased to say that BCT lived up to everything in the reviews.Stefan and Greg were instrumental in ensuring that everything went according to plan.Gorn ensured the household ran smoothly while we we there, the food was amazing! The house itself was stunning, it is obvious that that every attention to detail was considered. I really have nothing to fault them on. Bann Chang Thai is that good! This is one of the rare properties where I can honestly give 5 out of 5 or 10 out of 10. Bann Chang Thai is truly deserving, not just because of the beautiful house, but because of the beautiful staff. I guess it's really true......time flies when you are having fun! One luxurious week at Bann Chang Thai Villa was a true life experience! I recently had the pleasure of staying here for a family wedding, along with 20 other family members and friends of the bride and groom. There was so much to celebrate, not the least being the location, the layout, the privacy, the food, the staff, the facilities.....and that's just the start! Being centrally located just off Kamala Beach, we had daily use of scooters and mountain bikes, or the ever reliable Rudi, our driver for the week, if we ever wanted to leave the luxury that afforded us. With so many bedrooms from which to choose, many with different layouts, and most with their own bathrooms, it is the ideal choice when deciding on your next family getaway, or the perfect place to marry your best friend. The location as a wedding venue was truly magical! A wedding on sunset, in the sala, with plenty of room for family and friends, cold drinks, warm hearts, amazing staff.....you're getting the picture...right! And, the best part, it was not at all humid! Hot yes....but with 2 pools you are cool immediately. The breeze that's a constant is a bonus....the benefits of being on a hill. It was indeed a privilege to stay at this amazing establishment and for anyone wishing to experience true 5 stars with staff attending to every detail you can imagine...this place is definitely for you! Thanks to the entire Bann Chang Thai Villa for making our stay so memorable! A perfect place for our sons wedding. Such a choice made by the bride to be. It was a fantastic experience for the families of the bride and groom to be together. The manager Greg was at hand when we needed him. Kuhn the Thai manager knee anticipated our needs. The house maids and staff were warm and welcoming. We used the van and driver many times and he was never put out by late change of plans. Having the motor bikes was useful too. The villa had every convenience needed. It truly is magnificent. A wedding planner was used to organise and coordinate the day. The floral arrangements were scene stealers. Wedding guests were amazed by the whole event. The atmosphere created was magical but inviting. We as parents were so proud of what our son and daughter inlaw created . We held a buffet dinner the following evening for 42 people. The food was prepared by the villa chef and staff. Delightful entrees and a wide selection of main meals finishing with a fruit platter. As part of the evening celebrations large lanterns were lit and sent heaven bound. We are so glad that we had such an amazing experience and ate hoping to return with friends for a relaxing holiday soon. Thanks to everyone at the villa for making our stay a dream. Lucky we have a video and photos to keep the dream alive. Ps the staff even pressed a dress shirt for our younger son at late notice , no problem . They were never intrusive but on call if needed. We were 5 families staying in the villa together for one week in February, and we had the most amazing time. With 2 pools, a movie room, spacious rooms, an excellent view and the most amazing thaifood we found no reason to leave the house very often and both adults and kids were entertained 24/7. The service in the villa was totally outstanding and nothing was too much of a hassle, they even arranged for us to have massage in the villa. The food cooked by Noi was the best thaifood we have had in Thailand. The staff was very helpful and so so nice and the best part is that they were so kind to our kids, my daughter cannot stop talking about Gorn, Noi and the other girls since we came home... Stefan, one of the managers of the villa, even arranged for babysitting one evening at a small cost! The villa is only 5 minutes from the Kamala beach, which is an excellent beach for small kids. To get to the beach we took a tuktuk, the preferred way of traveling if you ask our kids : ) or Gorn arranged with the driver to take us, very convenient. After our stay at Bannchangthai we moved to another hotel, which was a very bad decision since we all missed the villa very much and wished we had prolonged our stay. This was my second stay at the villa and I will for sure come back for a third time in a short time! Here is a grand place for a big family or group of friends or as we did both friends and family to have a place to relax and chill. Boasting some 9 bedrooms. There was plenty of places for people to sit, swim, dine, gym or what ever you want to do. Breakfast was of excellent standard and so to was the staff. The staff were there as needed but then disappeared when the work was done. Dinner seemed to be a flat rate of 550 Thai Baht per adult which seemed to be a little steep considering outside prices. Bann Chang Thai is a private villa located a little way out from Kamala Beach and for us was a bit of a negative. It was too far to walk anywhere and as a group we seemed to be constantly paying for tuk tuk's or the villas mini bus for transportation to restaurants, shops, attractions or where ever we wanted to go. They did have some complimentary scooters that we tried to utilise where possible but this was limiting. All in all a pleasant stay and if all you want to do is nothing but chill then this is the place for you but if you are wanting to spend more time in town etc.. then maybe?? A week was not long enough!!! A large group of family and friends stayed for one magical week at Bann Chang Thai. At the end of that week, nobody wanted to leave, the staff felt like family, and if we could have postponed the inevitable we most definately would have. Ages ranged from 5 to 72 and everyone of us had the most wonderful experience. Stefan was very helpful and had arranged everything to our schedule with expertise and efficiency. Khun Noi made the most amazing thai meals that we rarely left the villa. Khun Gorn was the most hospitable manager and Khun Nam even travelled to the hospital with my mother to make sure she was ok in the middle of the night. The rest of the girls made our stay both warm, homely and comfortable. They always had a smile and nothing was too much trouble. The villa was both comfortable, away from the crowds yet close enough to enjoy everthing Phuket has to offer. My partner and I were married at the villa and could not have found a better venue. The most talented Khun Noi also did all the flower arrangements to my delight and disbelief - does that girl have an end to her talents 🙂 Thank you all for the most memorable, magical week of our lives. We have just returned home after an amazing stay at Villa Bann Chang Thai. I booked the villa in order to celebrate my husband's birthday with family and close friends. Stefan was superb from the start and quickly and efficiently answered all of the (many!) questions I had before we arrived. We had quite a lot of things to arrange once we were there but thanks to Stefan's hard work and attention to detail, the party was a huge success. The staff at the villa, Gorn, Nam, Noi and the others, were first class and were always on hand to help us out. Nothing was too much trouble. We ate almost all our meals at the villa and the food was delicious. Much better than anything we had outside. The villa itself was stunning. Despite being a large group, we always felt as though we had space should we want it, as well as having lovely areas where we could congregate when we wished too. It really was a trip to remember for our group. Thanks to Stefan, Gorn and the others for helping to make it so brilliant. Villa Bann Chang was just an amazing experience from start to finish. Tweleve friends and myself booked for the first week of November to celebrate my 30th Birthday. The location is great, far enough away from everything to be peaceful, but a quick trip to the beach or Patong. The villa is in beautiful condition and the views are fabulous. There were easily enough rooms for me and 12 friends to have their own room each. Stefan was a brilliant host, he was communicative and professional from the very first enquiry. Nothing was too much trouble for him and his staff. He organised all transfers, tours, gave us a personal welcome/ farewell and was available at any time during the stay to sort out any issues. The staff were lovely, polite, friendly and nothing was too much trouble for them. We also threw a big party at the villa, which was an absolute success, and the villa was the best possible venue to hold this. Stefan recommended a great party planner and it all went off perfectly. The best part was that my friends all said what a wonderful place, and what wonderful memories were made there. I would absolutely recommend Villa Bann Chang without hesitation. Thanks to Stefan for a great time there. What a wonderful place!!!! We were lucky enough to stay at the Villa for 3 weeks to celebrate my 50th birthday with family and friends. Stefan and his wonderful staff could not have been more helpful. With people coming and going, (from young children to my elderly parents), there were lots of pick ups and drops to the airport and lots of day trips that people wanted to go on. Nothing was to much trouble for the staff, always there with smile and helping hand. The girls were also a great help the night of my sixty's theme birthday party. A special thanks to Noi the chef, the food was amazing, I am missing your cooking. A big thanks also to Ta and Nam who were so lovely and really made our holiday. The Villa it self is just so beautiful. We had up to 16 people staying at once and never once did it feel crowded. There are so many different areas to relax in, great if you wanted some quiet time. All the rooms and bathrooms are decorated to a very high standard. The attention to detail is amazing. It was great to have the use of the scooters to zip down to the beach or pick up some grocery's Staying at Villa Bann Chang Thai was like having your own private resort and my birthday was made so special just by being there. We will diffidently be going back. We had a fantastic experience at Bann Chang Thai villa. From the moment we walked in the doors it was more than we expected. The home is decorated beautifully and the staff greeted us with warm smiles and wonderful food! Everything we could have wanted was provided. We also enjoyed massages and pedicures during our stay which were organized efficiently and were a great way to unwind. I have stayed in a number of villas throughout Phuket and Bali and Bann Chang Thai was one of the best!! We can't wait to come back! 16 of my friends and I recently stayed at Bann Chang Thai and we can't say enough wonderful things about the staff, the food, and the place. It was nothing short of amazing! Even though it rained during our entire stay, we had the most amazing vacation filled with rest, relaxation, and massages at Bann Chang Thai daily. Bann Chang Thai is even better than the photos depict and we would recommend a stay here to anyone looking for rest, relaxation, fabulous staff support, amazing food, and a beautiful location. Thank you Stefan, Gorn, Noi, and the rest of the staff! We all look forward to coming back to Bann Chang Thai! Bann Chang Thai was a wonderful experience. We had a large group coming from the us and we wanted a place where we could all be together but have our own space. Therefore, we decided to rent the whole house. We had several arrival times and Steffon was really willing to work with us. We came across Bann Chang Thai and thought a Villa would be perfect for our group. It was everything we expected and more!! The service level is out of this world. Gorn was able to help us with directions, places to eat, and helped us to speak to the locals on the phone for our bookings. One night we were celebrating a birthday and Khun Ton and Ta went out of the way to make it really special for us. The overall setting and view of the villa is just amazing. We really enjoyed just sitting in the pool and watching the sunset. The beach is right down the hill, we used the scooters to get there. We really enjoyed having access to the scooters. We could come and go a we pleased. We felt like a local riding around on them. Several nights we had dinner at the Villa and the food Noi cooked was very good! Everything we requested she made for us and we really enjoyed it. Breakfast was great every morning, fresh fruit, eggs, bacon and so much more! The rooms were very nice and clean. I loved the fact that almost every room had it's own personal bathroom. I would highly recommend Bann Chang Thai, it was the best vacation! Four families (8 adults, 7 kids) spent a fantastic long weekend at this impressive villa, which is beautifully decorated and the minute you step inside, you have arrived in heaven. The staff led by Goin was very helpful, always cheerful and eager to make our stay a very memorable one. And they succeeded! With these great chefs, we chose to eat most of our meals at the villa and were delighted by the food. As we were amongst friends, we decided to spend most of the time at the villa. Massage therapists were called in and we had our massages in the beautiful 'party room'. The villa is on a hill close to Kamala beach, 20 minutes to Patong, 40 minutes to the airport. This villa is truly the most amazing place to stay in Phuket, you will never want to leave! When reading the reviews I thought this place was too good to be true, but it really is perfect! We had about 16 adults staying here, ranging in age from 24-30 and could not have asked for a better vacation. When booking, our group size kept changing and people ended up arriving on different days. Needless to say our group was a little demanding. Stefan who runs the villa could not have been nicer or easier to work with. He was so accommodating through the many emails and during our entire visit. As a group of americans we were a little worried about the wire transfer, as we are use to charging everything on a credit card. Stefan completely understood and we were able to make a deposit and pay the rest on arrival. Now on to the actual stay, the villa is just as amazing as it looks in the pictures. It is kept in immaculate condition and has a full staff to help you with anything you need. Gorn is the house manager and was one of the staff that made our stay that much better. From organizing meals (which were all fantastic) to helping us arrange tours and ferry rides. Khun Ton, who takes over for Gorn around lunch and dinner, is always cracking jokes and kept me laughing the entire stay. The whole staff goes out of their way to make your stay memorable. One example (of many) is for our first group dinner they got floating lanterns for us to light and send off after dinner, it was awesome. The staff really make the fabulous villa 10 times more amazing! I could go on forever, but in summary I would highly recommend Bann Chang Tai to any one and personally hope to return in the future!! This place blew my friends and I away. Looking at villas, or rentals you always kind of go there hoping that the place live up to the photos. And to be honest the place blew them away. Cause not only did it look great, with the location, the views, and the service were phenomenal. We enjoyed the villa so much that we actually, decided to not sight see one day and just stayed in, and enjoyed the property. I would definitely come back, and would recommend to anyone. All the people there, were incredibly helpful, and friendly and were a blast. This villa is amazing! 16 of us, a group of couples and singles, spent a long weekend here in November. We have travelled to various places in asia over the last 6 years, both in hotels and villas. Never before have we stayed in such a fantastic place. The decor is just gorgeous, so tasteful and thoughtful. All the rooms are spacious and very comfortable. The service is out of this world and is how every villa should be run. We ate at the villa most nights and the food was fantastic, so tasty and exactly to our requirements. We mainly had thai buffet dishes and there was plenty to go round. One night we had steak which was cooked perfectly. The staff were very attentive yet not intrusive. They constantly ensured the fridge and eski were kept full with drinks which were readily available. We did not have to go to the supermarket once. We had transport to town if required and the villa was easy enough to find on our way back if coming back late. I would definitely recommend this villa to anyone and will definitely be returning myself. If you are looking for the ultimate getaway for a small group of family or friends, the Baan Chang Thai (Thai Elephant House) Villas offers the perfect opportunity. Set on the hills behind Kamala Beach, Phuket, the Villas are a luxurious sanctuary, easily accessible to the beach and shops but comfortably private and removed from the local hustle and bustle. The architectural style of the villas is based on the steep, elegant curves of the Thai roofs and is rich with carvings and statues, paying homage to Thai culture and in particular to the elephant! The mix of dark timber panelling and carvings set against the clean, cool white and cream of the walls and floor tiles will satisfy the aesthetic taste of the discerning tourist. But, if the experience you are seeking is a reclusive week or so with close friends or family - in elegant luxury at a remarkably affordable price, then consider Baan Chang Thai. Our group was there to celebrate a wedding. Seven couples and a scattering of babies and toddlers were able to have spacious, individual rooms with en-suite bathrooms, beautiful views and well designed access to two pools. Breakfast is included in the price and other meals can be arranged with a few hours notice. A car and driver is available. Washing is done daily and child-care as well as massages, manicures, hairdressers and so on can be arranged. The cost for all these "extras” is negotiated with the helpful staff and while not as cheap as a backpacker might expect, it is a fraction of australian prices. Take care to be clear about numbers for meals and exact costs so that confusion and irritation is avoided. We found we enjoyed the accommodation so much that we did very little sightseeing or shopping though younger members of our party did both - and enjoyed a bit of Phuket's night life as well. I can recommend a stay at Baan Chang Thai for a flexible, relaxing and memorable Phuket experience for the whole family. I just came back from a 4-day stay in Stefan's wonderful property. We were a group of 16 in total, staying in total comfort at Bann Chang Thai. A further 16 local friends joined us and we partied the night away to mark my birthday. The villa is a secluded and private paradise in Kamala. The host (Stefan) works hard to ensure one's every request is dealt with. His staff cook up a Thai storm in the kitchen - delicious! And generally guests are treated with that special Thai hospitality and attention to detail. Great experience. One that I can totally recommend - whether as a big group as we were, or even a small group looking for that hideaway in the sun. We are a family with one teenager and two adult sons with girlfriends. As you may guess it´s not the easiest thing to satisfy all our different needs and wills during a trip together. Im happy to say that the stay at Baan Chang Thai made it possible though. Everybody loved the fantastic house with view all over Kamala beach. The rooms were perfcectly balanced with beutiful interior and confort. Some of us loved to have a well equipped gym with one step to the swimming pool to cool of in after some workout. We all loved the opportunities which didn´t have to involve all of us. Some of us wanted to stay at the house, reading books at the pool side, and some of us wanted shopping in Patong, and some of us wanted to explore the beaches Lham Sing and Surin Beach. Because of the nearby distance to everything and opportunity to borrow vespas, everybody were satisfied. Often, we all got together again at night for a delicious dinner in the house. The staff were friendly and made great food. We strongly recommend Baan Chang Thai and wanna thank the staff and Stefan for an unforgivible stay! Bann Chang Thai is without a doubt the most wonderful and peaceful place we have ever visited. Stefan (the owner) and his family were very hospitable towards us , and together with his staff he made our holiday the most fantastic memory! We were 14 Swedes (10 grown-ups and 4 teenagers) who wanted two weeks off from Sweden and our boring weather. When we found this website we first thought it was almost too good to be true, but believe us, it is exactly what it looks like at the pictures. The food is amazing and the staff is almost too good to be true. They arranged everything we needed and made us feel like kings! We definitely recommend a holiday at Bann Chang Thai, and every day we long to return! We are privileged to be the first batch of Singaporeans to rent this amazing villa. Had we known such a sanctuary existed just 1.5hrs away from SG, we would have gone there earlier! There were 13 of us (adults behaving like kids) who wanted a rustic and inspiring place to celebrate 2 of our dear friends' birthdays. Baan Chang Thai Villa is a sanctuary perched on top of a hill, surrounded by calm and lush greenery, view of the andaman sea at the far horizon and unobscured open heavens where you can bask under the sun either at the top deck sala or the ground floor pool. Every one of the 8 rooms are unique and tastefully designed. In the hall way and entrances to the living room areas and rooms, you'll be greeted by wooden elephants and accent of ancient Thai charm. Besides good interior ambience, Stefan (the villa owner) and his staff were lovely people who made sure our stay was comfortable. The in-house chef Noi was absolutely great in her culinary skills, and the rest of the staff were always friendly and helpful. They made every meal an experience in itself, and we are very thankful for them customizing our later meals. We Singaporeans like it spicy!! And they granted our request for spicier Tom Yam goong. We also appreciate the great music and special decors you provided for our party. Despite bad weather forecast, we had 3 full days of sunny weather. So please check with Stefan before passing over your perfect getaway! Thank you Stefan, lovely children, excellent staff and cute doggies !! This was the second time we visit Bann Chang Thai and it was as fantastic as the first time! This year we stayed on the top floor and it we had great space to hang out which was perfect for the kids. The staff is absolutely fantastic and caring. The service standard is very high and exemplary. We had almost every meal at the house and every time we had a new wonderful taste experience! We will absolutely come back and we recommend Bann Chang Thai to all of our friends! Bann Chang Thai is a paradise on earth, where my husband and I had an unforgettable vacation together with our children and their families. We were a total of eleven people of whom the youngest was one year and four months and we can guarantee that Bann Chang Thai is a great place for all ages. When we planned the trip to Thailand, we looked for a place beyond the ordinary. We searched for a place that could offer comfort and luxury, relaxation, good service and a family atmosphere. Now, after experiencing Bann Chang Thai, we know that we made the right choice. Bann Chang Thai exceeded all our expectations, mainly according to the service-oriented, warm-hearted and considerate staff. Their concern for all of us and especially for the children was fantastic and invaluable. Gorn, Noi, Ta, Ton, Moh, Chai - we miss you so much! One reason for the trip to Thailand was to celebrate my 60th birthday. I will never forget the birthday dinner at Bann Chang Thai with nine delicious Thai dishes plus dessert, the stunning floral arrangements and the high level of service from the staff and the manager. None of us will ever forget the dinner at the terrace on New Year's Eve overlooking Kamala, the fantastic fireworks and all the Khom Loy that slowly floated up to the sky. Now when we are back in Sweden and the family get together, we always talk about our trip to Thailand and the marvellous stay at Bann Chang Thai. And there is always someone who says: Let's go back! This luxury House gave Us an unforgettable holiday. Many days we simply stayed at the house the whole day and enjoyed the relaxing atmosphere and superb service. The staff treated us like family and the food prepared by House chef Noi was fantastic! Tanks for 10 wonderful days. Peaceful and beautiful. This was a real vacation. Friendly and service minded stuff. Good food. What more do you need? A perfect place for a big family or many families. My family ( a total of 10 adults and 4 children ) stayed here for a month in the summer of 2008. We loved Phuket but wish we had seen more of it, the problem though was trying to leave the villa. We just couldn't force ourselves to go out as the location, views and ambiance of this house shared with family and friends proved such an obstacle to leaving. The service was superb and we were able to arrange before our stay at what times staff would be needed so as to ensure as much privacy as was required. The owner was a very nice man who really went out of his way to see that we loved his accommodation as much as he himself did. The pools and bedrooms are first class, as was the food when we required meals to be made for us. This villa in Kamala is simply brilliant. Beautifully appointed rooms, wonderful art on the walls, cool swimming pools, a sweeping view of the Andaman Sea, delicious food, and wonderful people make your stay perfect. Kamala is a lovely village on the west coast of Phuket, with a great stretch of beach, a number of excellent restaurants, and an easy-going pace; the villa is set back into the surroundings hills that give it a sense of peace and relaxation. I highly recommend this villa if you plan to visit Phuket. I stayed at Bann Chang Thai in November last year. The house has a great view overlooking the Kamala beach and village and a very nice interior design. The food cooked by the chef Noi was better than a lot of the restaurants had to offer in Phuket. Therefor we had most of our dinners on the terrace looking at the nice view. We stayed on the top floor and despite the fact that there were other guests on the ground level we felt that we had enough privacy. The manager gave us tips of trips to make in Phuket and also arranged with a driver to take us around which was really good. Staying at Baan Chang Thai was a great experience and I really recommend it to people that want to stay in a different environment than a "normal" hotel can offer. We had an absolutely amazing and unforgettable holiday at Bann Chang Thai! We travelled with two other families so all together we were six adults and seven kids. 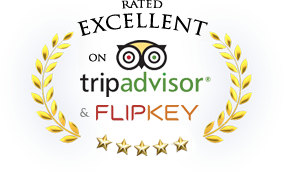 From the first minute we got there we had 100% service and felt us so welcomed. The staff were so friendly and accomdating. The food, rooms, pool and the ambiance were outstanding. It is imortant when you travel with many people that you feel that you can have some privacy and that was no problem thanks to the huge space that we had access to. If you are looking for something extra you should definitely visit Bann Chang Thai!